Whenever we go to Cape Town to see my mother and have lunch with the family, I harvest what I can. What is neither full-blown and about to shed petals, nor so tightly furled that once picked, the bud will never open. This Tropical Sunset was just right. They have been fed their December portion of certified organic from Talborne. Burning Sky seems to be happy to make another full house with bunches of buds coming thru on each stalk. Dainty Bess with her five fragile single petals, has the spirit of the wild dog rose (NOT wild here). Each flower only survives one day of sun and afternoon breeze. Chaim Soutine has been rescued from the embrace of Melianthus. The tall flower stalks had gone to seed, so I pretended I was Jack Frost and cut back hard. Time and space for someone else to shine now. Pearl of Bedfordview butterflies across her bush. Great North is trying hard this year. She has flowers, but she is still dwarfed by the blue sage. Paradise and Roses. 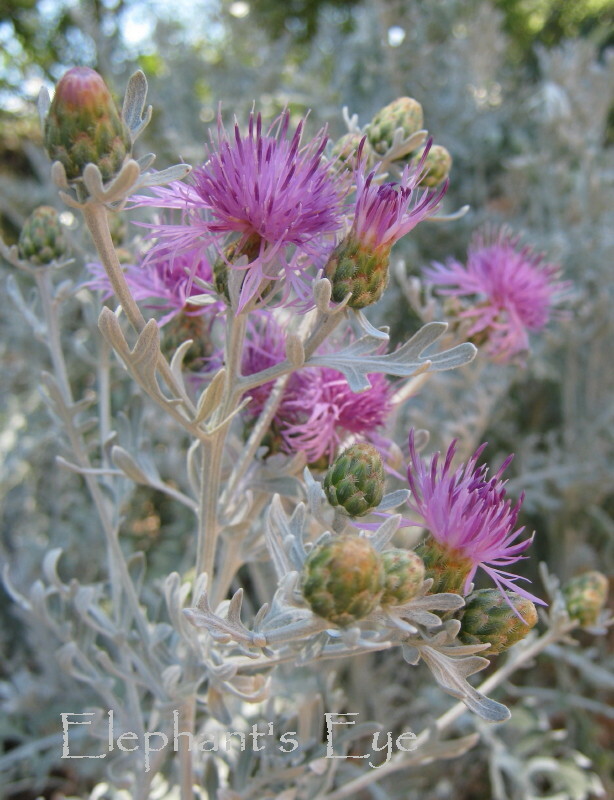 My signature plant Dusty Miller has flowers that leave me feeling ambiguous. 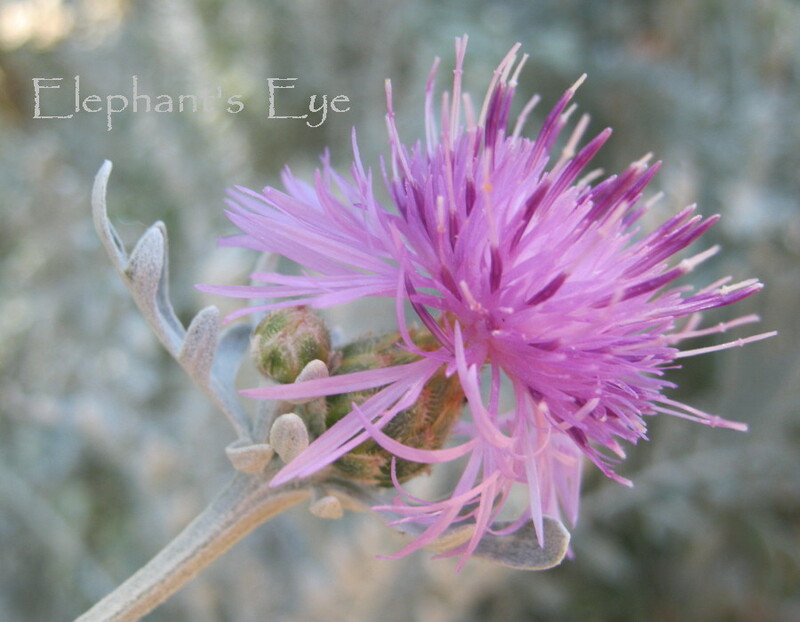 A soft fluffy mauve gentle version of a Scottish thistle. Rather a lovely flower if you take time to look at it. For the vase too. But, the flower stalks SOAR UP and flop over. Morning after the night beforeish. Most of them get harvested. Ideally I should take cuttings and start again every three years. 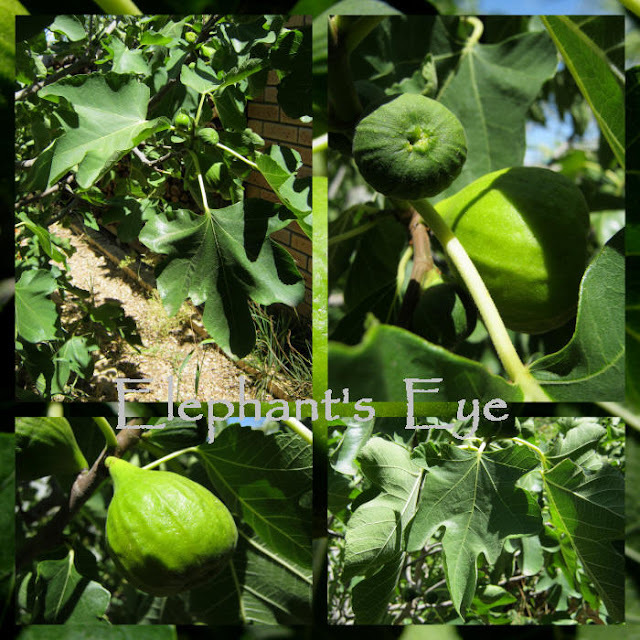 When we see starlings investigating the fig trees, then it is time to nip out quick and see if any figs are yallery green and soft enough for us to eat. If you blink, you miss it, and the birds are in heaven in our wildlife garden. Cloudy days are so kind once summer gets serious. I had no idea that Dusty Miller even bloomed--if anything I would have thought it might have those invisible yellow-greenish flowers, not such frivolous, exuberant blossoms just begging for a vase. I'll be interested to see what Stuart creates (and grateful to him for his hard work)--I certainly owe a lot to Blotanical. I just find that I have the energy either to blog or to Blotanize--not both. smaller plant called Dusty Miller, don't what its flowers are like. I am at Blotanical just to read messages, say thanks, and pick my faves. I used to browse but that time goes to Google Plus now. That "Dainty Bess" is stunning. I don't think I have ever seen it growing here, but then again, I am by no means a rosarian. I seem to have developed a taste for the single petal cultivars in recent years. The only rose still blooming now in RI is good old Knockout. Diana, I had no idea Blotanical was due for some changes. Thanks for posting this information. I will have to start visiting more frequently to see what the new format will look like. Strange weather for December, but I'm glad your roses love it. I hope the changes to Blotanical attract some more SA bloggers. Is "yallery" a South African version of yellow? It sounds almost like the word was pronounced in my native Mississippi (yeller). we have winter and the roses in my garden are still in bloom. No snow to come. Marguerite - this info about Blotanical has been tucked away in News and Forums. That blog is days old. GardenGirl - I have my South African blogs in the first slice of my blogroll. James G - greenery-yallery is not South African. I read it somewhere. Anyone? Who did I lift it from?? What a lovely name - Pearl of Bedford View. 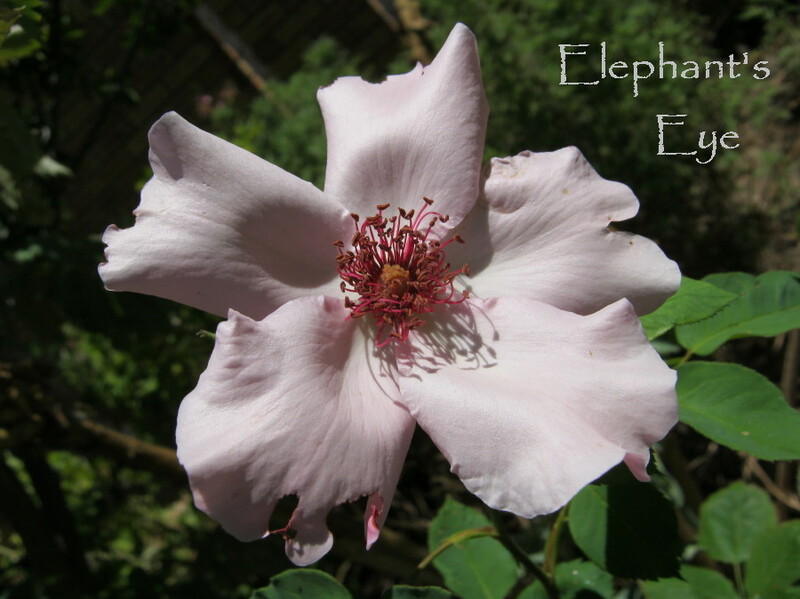 Esther - named for a suburb in Johannesburg, I guess it is famed for its roses. You know how to brighten my cold day. Just looking at those roses and especially the Tropical Orange warms my heart if not my feet. LOL! The Dainty Bess is also quite lovely with her single petals. Simple but a beauty none the less. I appreciate your blog to give us a spot of color and warmth while ours are dormant. Have a wonderful weekend. I also love that 'Dainty Bees' as i haven't seen it yet. Your garden is teeming with beauty. About Blotanicals, i am not going there often, as i found it very slow for me here, so i just go direct to my links or go to others comments. I just make pick once in-a- while. 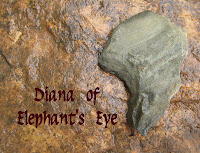 Wherever you go Diana I'll be right along. I've lost my heart to Dainty Bess now - each post you present me with a new love. Andrea - Blotanical is slow for all of us. Really hope V2 will be better in every way. 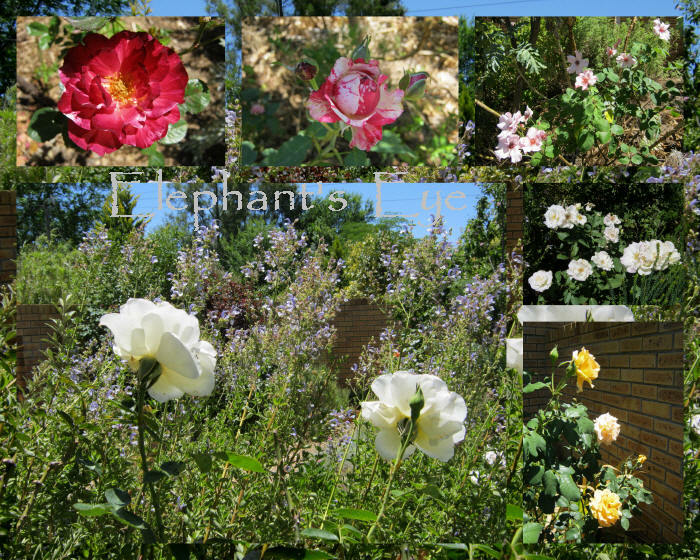 I learnt from Jean's Garden, to put all my faved blogs in Google Reader. I only go to Blotanical to pick them later. 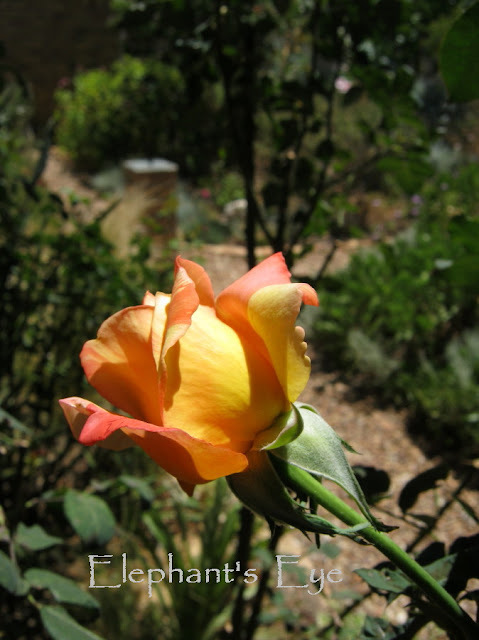 It feels odd reading about sun, heat, and roses in the winter chill here. It's really cold, and we had another little snow. Your roses would not like that one bit. So Blotanical is changing up? Very interesting news. As ever Diana, I learn techi things from you as well as wallowing in SA landscape, practical roll in exquisite exotic plants as well as musing how much of the english garden - viz roses, that you have there. I shall make a note to try and learn about Google Reader. we all owe a lot to Stuart, for putting us in touch with each other. Like Stacey, it's hard to keep up with everything and often blotanical is the thing that gets neglected. I also often neglect plants like dusty miller, certainly lovely but a bit of a bother. The pic of the fig tree reminds me we live in the same hemisphere - over here too the figs are growing as we head for summer. Diana, you have me totally besotted with two of your plants that I had to go and buy and plant in my garden because I loved them so much in yours - and they are doing beautifully here - the Festuca Glauca is my absolute favourite and Dusty Miller is just wonderful! I have been looking forward to the blotanical changes. It's nice to know when they are finally coming! 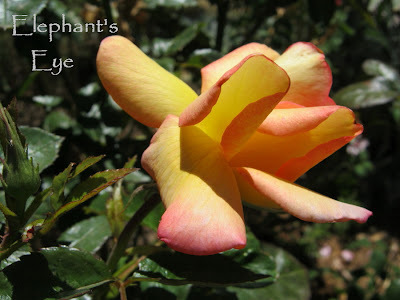 Your Dainty Bess and Tropical Sunset are both gorgeous roses. 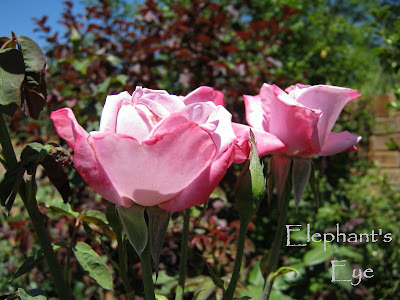 I love my shade, but sometimes I wish I had more sunny spots to grow roses! Jennifer - if a post at Blotanical has lots of picks I will read, maybe comment, but not pick. I try to encourage new blogs instead. But I get frustrated by the list and leave, so I'm taking it very quietly there for now. I can't wait for the Blotanical changes. I keep trying not to give up on it, but some days it's just downright frustrating and glitchy. Hopefully a new year will bring a new and improved system. I need a better way to keep track of the oodles of blogs I want to keep up on! We're heading out on holiday on Saturday so I just wanted to take this opportunity to wish you a Merry Christmas and a Happy New Year. I have done forward posts for both my blogs so they will still come up on your feeds every day, I just won't be commenting as I'm not taking the laptop along. I don't think I've ever seen Dusty Miller bloom...it's wonderful! I never saw Dusty Miller bloom, yet sometimes it overwinters here. It really has a pretty flower. Not sure what V2 will bring, but activity is down on Blotanical by bloggers I think. I enjoy using it, but seem to less of late like many. I did join the supporter group and hope it revives the fun. Being a Blotanical expert like you are, did you get any insider info? Diana, I've been missing summer and all I had to do was stop over here to get a bit of sunshine and roses! I am liking 'Dainty Bess' a lot and admiring the gentle pink of Dusty Miller. gail ps I signed on for the new Blotanical~am curious to see what rolls out. Oh, the orangey yellow roses are wonderful!